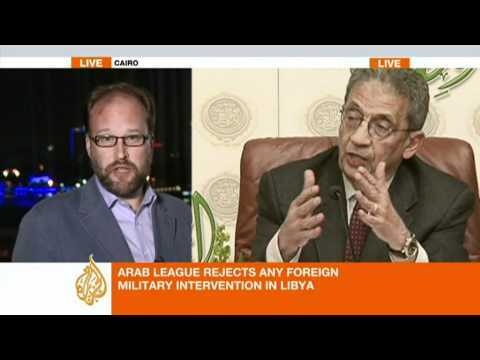 Aljazeera English reports on the Arab League’s call for the UN Security Council to impose a no-fly zone on Libya. Most sources are calling the resolution unanimous, but Xinhua says that Algeria and Syria abstained. Algeria has been accused by the rebels in Benghazi of helping Muammar Qaddafi.